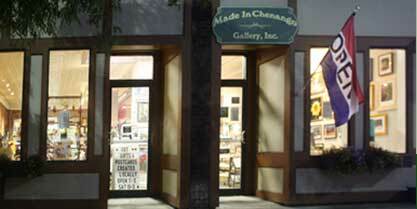 MadeInChenango.com is owned and operated by Made in Chenango Gallery, Inc. This site is a commercial site and as such is not intended for use by children. This site does not automatically collect personally identifiable information from visitors, even if a child does visit. It does collect aggregate, non-personally identifiable information which may be used for marketing or research purposes. Personally Identifiable Information - Personally identifiable information must be given voluntarily to Made In Chenango Gallery, Inc. through use of MadeInChenango.com email links or forms, and is held in strict confidence, unless required by law to divulge that information. We do not sell, share, lease or rent any email addresses or other personal information. Use of Information - Personally identifiable information such as name, email address, phone number, postal address may be used in order to contact individuals regarding purchases, special offers, new items, or other similar legitimate business purposes by Made In Chenango Gallery, Inc. We do not collect any financial information such as credit card numbers on this site. Third Party Links - This site has links to third party sites as a service for your information and reference. Made In Chenango Gallery, Inc. cannot be responsible for the privacy policies of any third party sites. We recommend that you check the privacy policies of any other sites you visit. Child Protection - Should a child contact Made In Chenango Gallery, Inc. through this site and inform us that he or she is 13 years of age or younger, we will, as provided by the Child Online Privacy Protection Act, respond to that child once and subsequently destroy all personally identifiable information relating to that child. This is a commercial site and as such we do not have repeated contacts with anyone we know to be under legal age via this site. Made In Chenango Gallery, Inc.